Cut cauliflower into small bite sized pieces. Allow it to boil in water with little salt and turmeric powder.Make sure to only to half cook cauliflower(it should be firm enough to bite). Drain water completely and set aside.In a mixing bowl, add maida,cornflour, curd, ginger garlic paste, salt, red chilli powder, garam masala powder. Mix well until a semi runny paste is formed( sprinkle little water if needed.) Add the cooked cauliflower florets and marinate it for 15-20 mins until the gobis are coated well with the batter.Heat oil in a kadai, deep fry the gobis. Fry until crisp and golden brown. Finally fry curry leaves crisp and add it to the fried gobis. 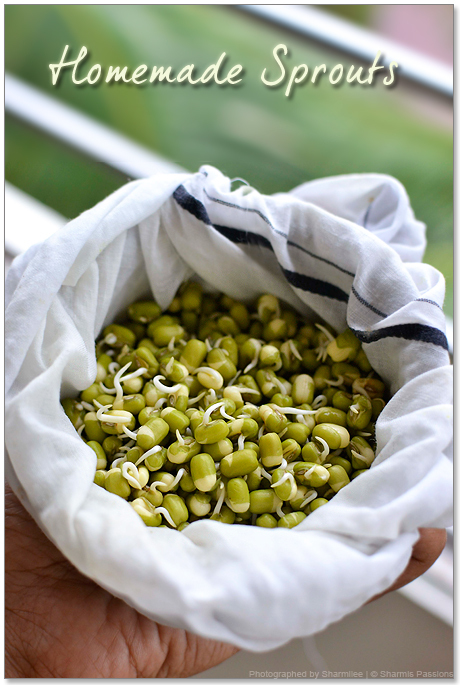 You can also fry greenchillies with curry leaves and garnish it. I add turmeric powder with cauliflower while boiling but its purely optional. Make sure the batter is slightly pastey with running consistency else it will not stick to the cauliflower. You can even fry cauliflower without paroiling but I prefer parboiling for the batter to coat well. I am sure kids will love this as its crispy and yummy. 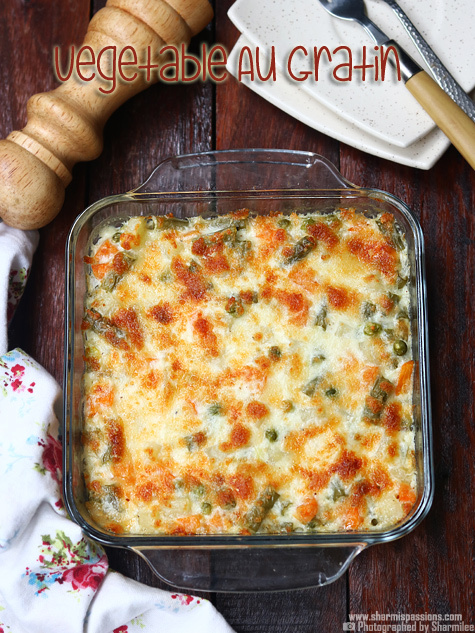 Its a easy to cook starter especially for guests lunch or dinner. We make gobi manchurian more often than this. 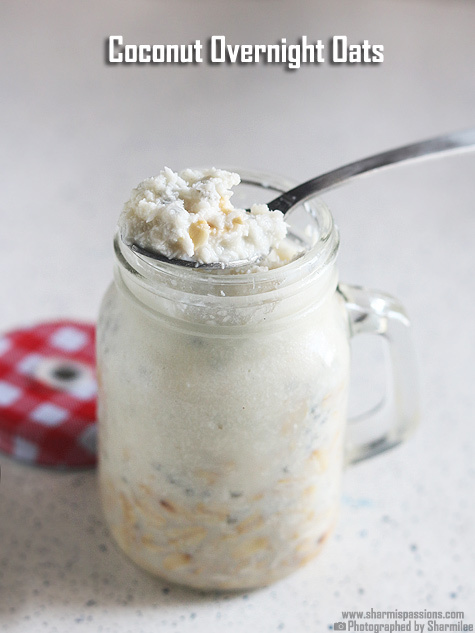 I am making this tonight–too tempting!! 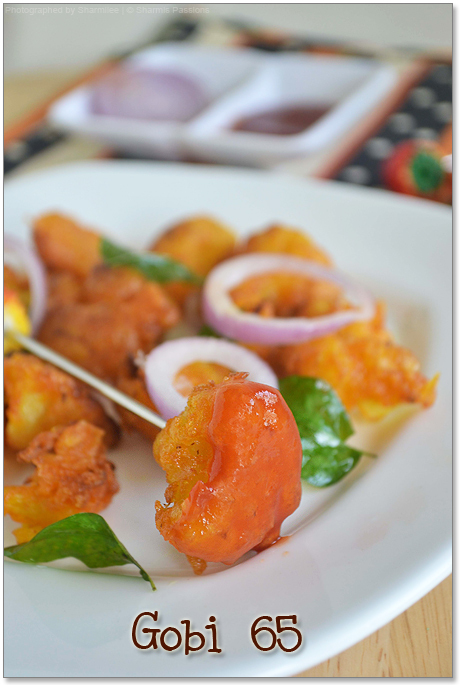 Very inviting… yet another gobi 65 in the blogosphere… I m getting more determined to make them !! Love anything in 65 non and veg and this gobi one looks cruspy delicious. Gobi 65 looks so inviting! Great clicks! I love this too… perfect starter! Simply tempting and delicious looking Gobi 65. Excellent preparation. Yummy. I don't order starters either but my hubby does and then I munch along :). 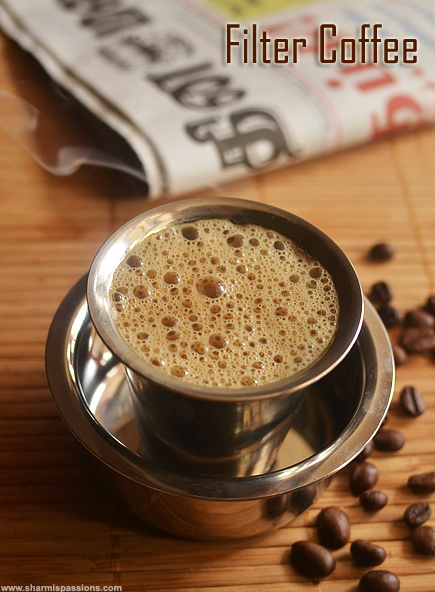 looks super and yummy.nice clicks. Lovely very well done !!! OMG.. I cant take my eyes off the pics!!! Looks so very good.. I never understood the difference in Gobi 65 & Gobi Manchurian! I thought they looked similar, reddish-brownish in color? 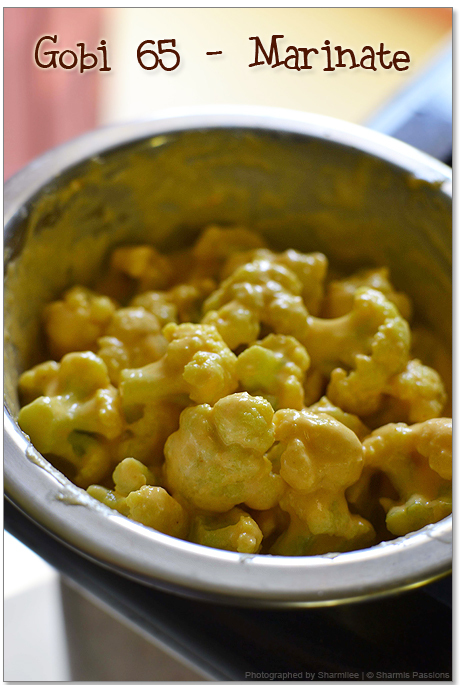 Hey Sharmilee, your Gobi is a Recipe Guessing Game on Knapkins. Think your friends can win? 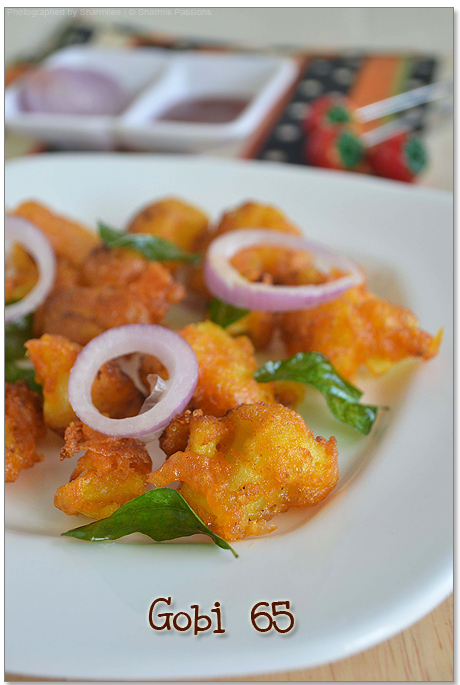 quick n luvly starter…urs look absolutely perfect delicious..
yummy dish.. and good snack for this winter season …. 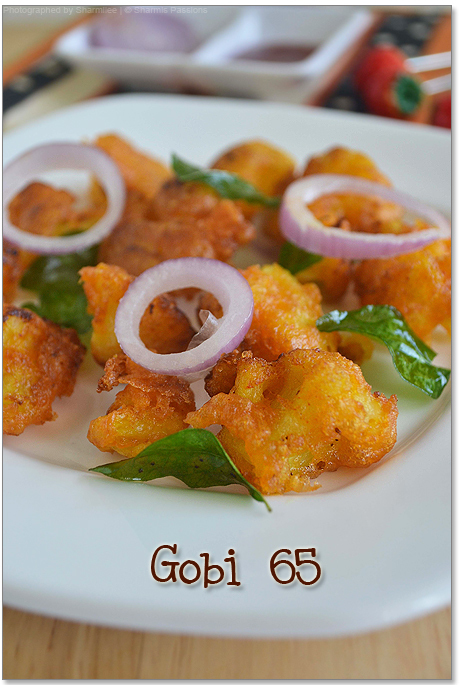 Gobi 65 looks wonderful….A perfect starter…. Mouthwatering here,simply inviting and delicious. yum, what a great golden color. looks nice and crisy..i somehow thought gobi 65 was a dry version of manchurian..whatever, this looks good! wonderful and super delciious appetizer..
Crunchy! Crunchy! tempting gobi…love it. 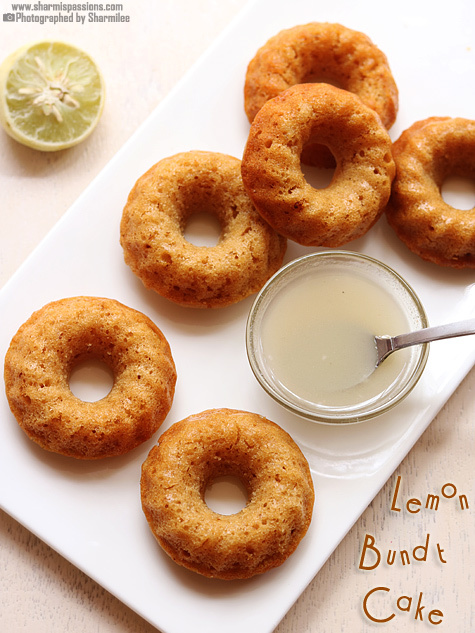 Sharmi,Can we add rice powder/besan instead of maida?would that give the same crispyness? I somehow do not like gobi-65 but love love love gobi manchurian a lot. but you picture is making me drool. Oooooooo, ok I get it now! What is thick curd? Ricotta cheese? Also is soya sauce the same as soy sauce? The chinese/japanese salty brown stuff? 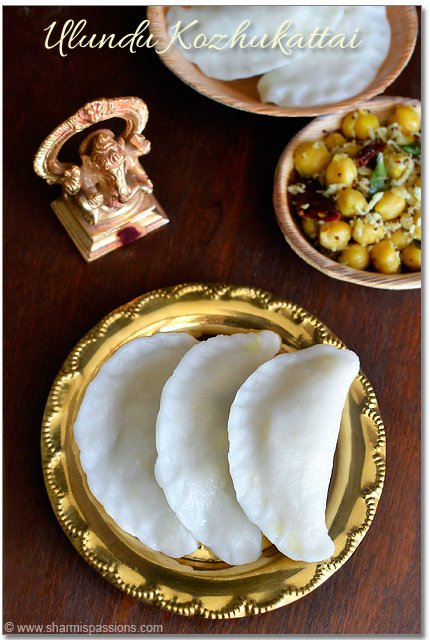 @Ali : It is just curd that is thick or you can hung the curd in a thin cloth for sometime to drain the excess water to get hung curd which can also be used. Sharmila – Do u put turmeric also, why does your gobi looks yellow. I tried ur recipe it was delicious Thanks. I tried and it came well.. Thank you..
Hope you missed Maida to mention in the procedure ?